95% Cotton / 5% Spandex 180g. Crew neck. Ferrari Scudetto woven badge on chest. 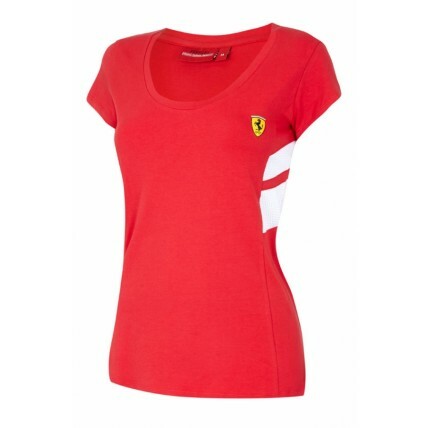 Printed Scuderia Ferrari logo on back neck. Mesh insert side panels.